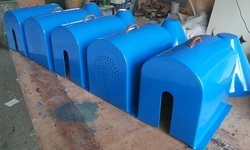 We are an established manufacturer and supplier of extensive range of high quality Hoods and Covers. Our team of professionals strives hard to complete all the orders on stipulated time. High grade raw components are used at the time of manufacturing these products. Our range of product includes Industrial Vessels, Anticorrosive Engineering Tanks and PP and FRP Products. We are looking for inquiries from South India region like Dravida including Andhra Pradesh, Karnataka, Kerala and Tamil Nadu and cities like Bangalore, Chennai and Hyderabad. We are specialized in manufacturing and supplying excellent collections of high quality Hoods and Covers. These are widely used in various industrials purposes. We have team of expert professionals to take care of all the steps of production. Our quality controllers take the effort to examine the quality of each product at every stage of production in order to ensure durability, reliability and optimality. Quality is tested on various parameters and industrial norms are followed at the time of manufacturing them. 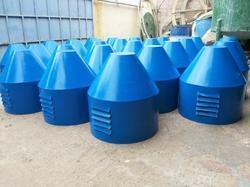 We are specialized in manufacturing and supplying excellent collections of high quality FRP Hoods. These are widely used in various industrials purposes. We have team of expert professionals to take care of all the steps of production. Our quality controllers take the effort to examine the quality of each product at every stage of production in order to ensure durability, reliability and optimality. Quality is tested on various parameters and industrial norms are followed at the time of manufacturing them. We are specialized in manufacturing and supplying excellent collections of high quality Industrial FRP Hoods. These are widely used in various industrials purposes. We have team of expert professionals to take care of all the steps of production. Our quality controllers take the effort to examine the quality of each product at every stage of production in order to ensure durability, reliability and optimality. Quality is tested on various parameters and industrial norms are followed at the time of manufacturing them. 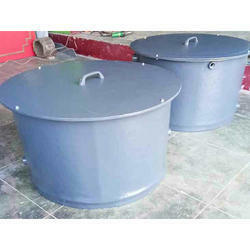 We are specialized in manufacturing and supplying excellent collections of high quality FRP Storage Hood. These are widely used in various industrials purposes. We have team of expert professionals to take care of all the steps of production. Our quality controllers take the effort to examine the quality of each product at every stage of production in order to ensure durability, reliability and optimality. Quality is tested on various parameters and industrial norms are followed at the time of manufacturing them. 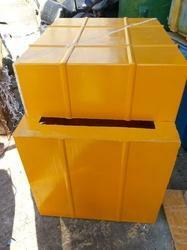 We are specialized in manufacturing and supplying excellent collections of high quality FRP Covers. These are widely used in various industrials purposes. We have team of expert professionals to take care of all the steps of production. Our quality controllers take the effort to examine the quality of each product at every stage of production in order to ensure durability, reliability and optimality. Quality is tested on various parameters and industrial norms are followed at the time of manufacturing them. 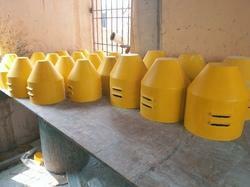 We are specialized in manufacturing and supplying excellent collections of high quality FRP Motor Covers. These are widely used in various industrials purposes. We have team of expert professionals to take care of all the steps of production. Our quality controllers take the effort to examine the quality of each product at every stage of production in order to ensure durability, reliability and optimality. Quality is tested on various parameters and industrial norms are followed at the time of manufacturing them.